LANSING — In flower pots or 100-acre lots, native prairie plants are increasingly important to butterflies and wildlife because in the wild, the plants are threatened by invasive species and human development. 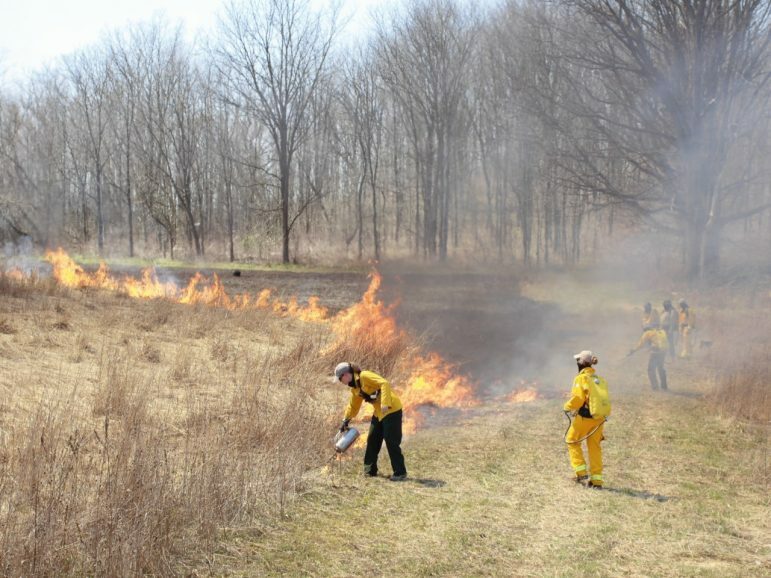 Only .01 percent of native prairie has been left unaltered in Michigan, according to Jennifer Howell, stewardship manager at Pierce Cedar Creek Institute, a nature center near Hastings. The rest has been developed or turned into farmland. 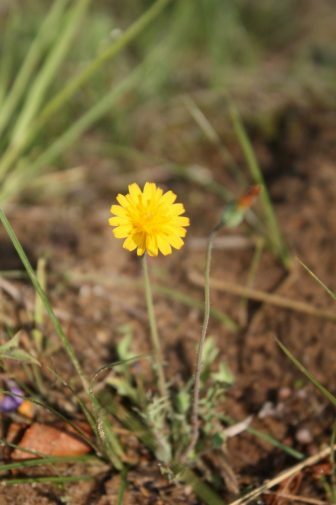 But now planting prairies is increasingly popular. “The institute is a hands-on destination for schools and other visitors to learn about prairies,” Howell said. During her 14 years there she has noted the increasing popularity of native plants. “I used to have to sell people on the idea of native plants, but now they come here and know they already want them,” she said. Howell just finished a ‘build-a-prairie workshop’ to teach homeowners how to start their own prairies. Participants had plans ranging from an urban landscape to an 80-acre prairie. parcel of land that was a former horse pasture. Work is being done to remove invasive species and other competitive plants so the native grasses can grow in its place. The sand prairie is the only area on the institute’s property where Eastern box turtles are found. It’s a protected species in Michigan due to habitat loss. Prairies in the Great Lakes region are known for hosting bobolinks, wild turkeys, butterflies and a vast array of wildflowers. Midwest Prairies LLC, an Edgerton, Wisconsin, a company that specializes in habitat restoration, helps people tailor newly created prairies to their needs. Carl Korfmacher, the company’s owner, said that many of his clients want to create habitat to attract wildlife. Seeds can range from $300-$3,000 depending on how many the planter needs and their choice of plants. “Owners enjoy not having to mow their lawns and burn them every three years instead,” he said. Korfmacher said that his children enjoy going out and exploring his own 1-acre prairie and that some of his neighbors have started their own. 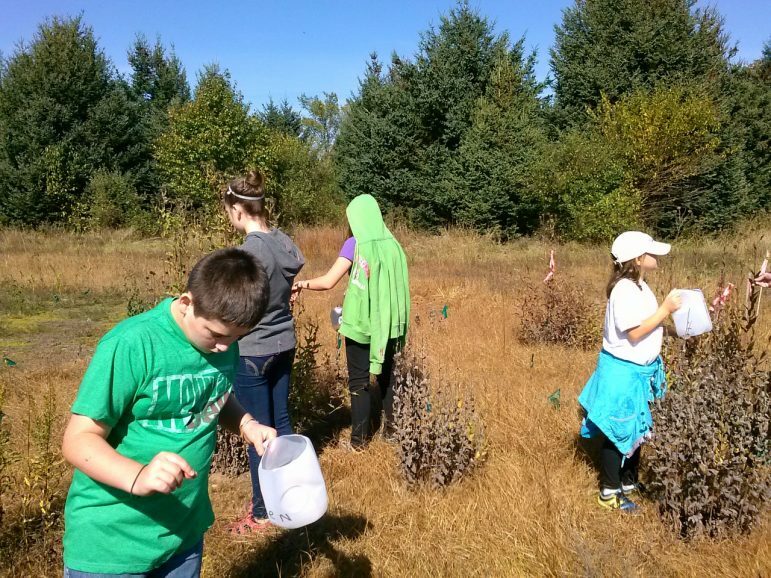 Volunteers collect native seeds that DNR will use to expand prairies. Credit: Heidi Frei. Heidi Frei, a natural resource steward in the southwest region of Michigan’s Department of Natural Resources, also promotes prairie growth. One of her stewardship programs collects native plant seeds to expand prairies in state parks. These plants are better adapted to Michigan’s climate compared to plants from different areas. Volunteers recently collected seeds from 11 species of plants including coneflower, beebalm and black-eyed Susan. This program not only promotes prairie growth but also engages volunteers with the environment, she said. “It’s not a typical nature center or naturalist program,” Frei said. “We focus on service learning, so they are learning while they are doing. “We think it’s really important, especially for invasive species — without action they will take over the habitat. LANSING — The future of the Great Lakes is imperiled, right? Invasive species endangering native plants, animals and habitat?